This dress kind of speaks for itself! I’m not usually one for a maxi dress, I think it’s because I feel like they make me look longer! 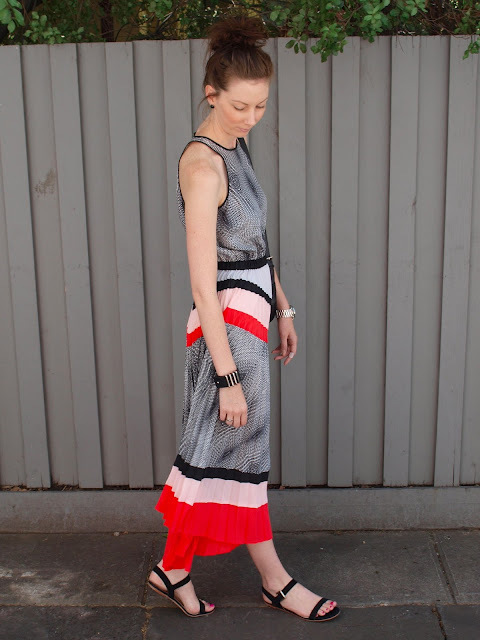 But the dipped hem, waistband detail and pleated bottom makes this dress not your typical maxi. 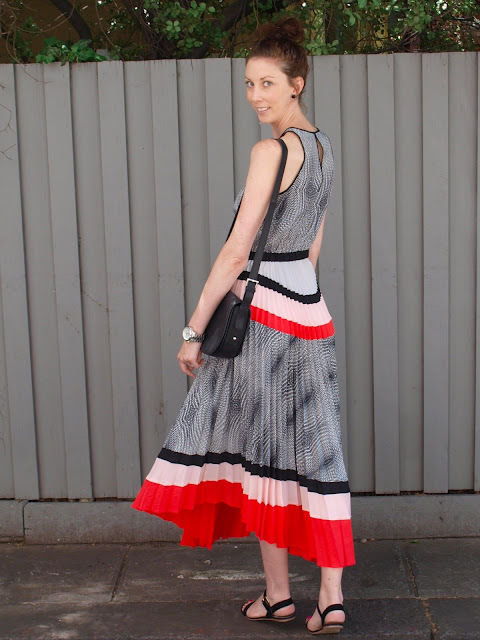 Accessories are best kept simple and beware of gusts of wind…this dress is like a parachute!